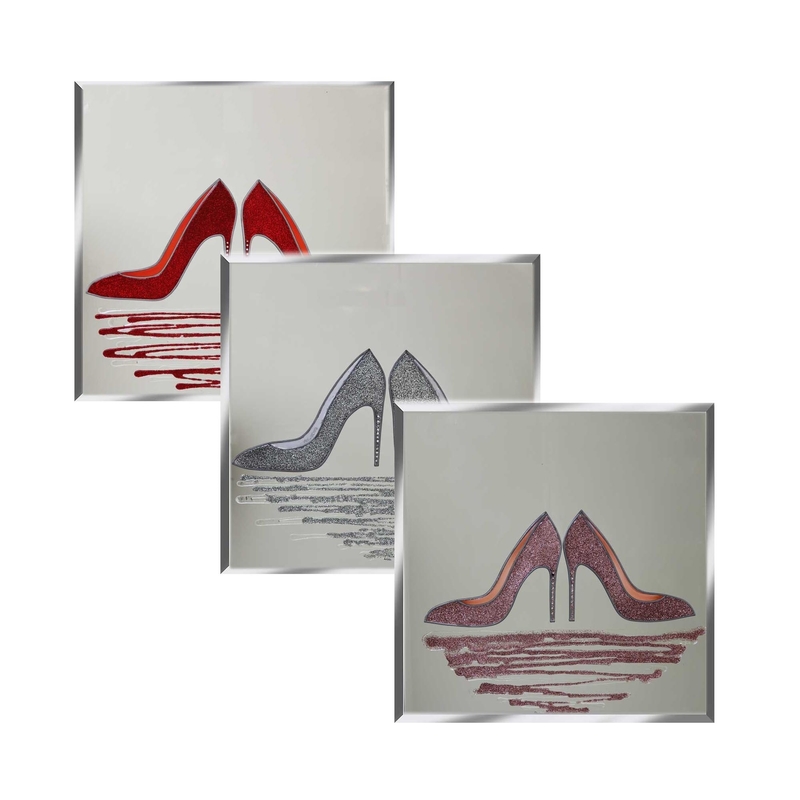 Add some glamour to your home with this stunning Glitter Shoe on Mirror. Coming in a variety of three colours: Red, silver and pink there will definitely be one to suit your interior. These items were all designed and hand made in the UK, and they can also be custom made to the size you desire. You wont regret purchasing this design.